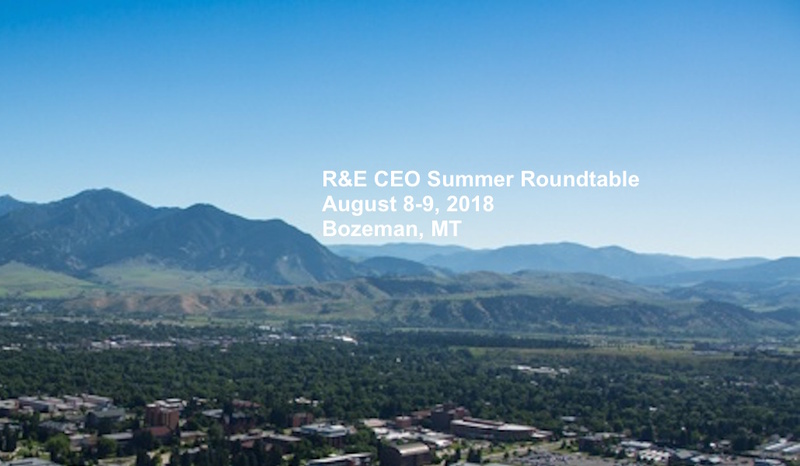 The CEO Roundtable will be gathering in Bozeman, Montana, August 8th and 9th. This will follow the National Research Platform gathering on the 6th and 7th. Breakfast will start at 7:30 am and our meeting will begin at 8:00 am on Wednesday, August 8th, and run through approximately 12:00 pm on Thursday, August 9th. A dinner will be held on Wednesday evening at Horse Creek Lodge (home of Louis Fox & Nashua Kalil) and that transportation will be provided. CEO Roundtable discussion topics will also be announced soon. Our meeting will take place at the Element Hotel and our room block dates are August 7th and 8th at a discounted rate of $259. Please note: the room block closes on Friday, July 6th.